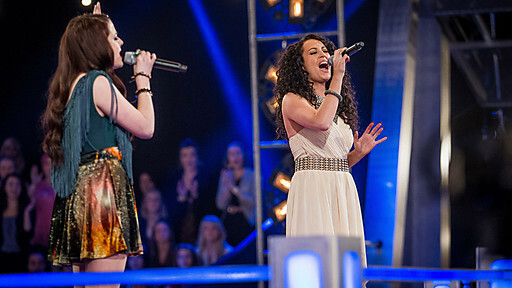 As The Voice UK’s battle rounds begin, the premise is simple: one song – two voices – one winner. Joining superstar coaches Jessie J, Sir Tom Jones, will.i.am and Danny O’Donoghue are four battle advisors – trusted fellow pop stars and music industry veterans who, alongside each coach, will dedicate themselves to developing the artists and sharing the secrets of their success. The first of the battle rounds sees each coach pair their artists to sing against each other in a vocal showdown. After each battle, the artists’ own coach must decide who will progress to the knockout stage – and who to send home. This year, however, it is not quite over for the losing artists – in a dramatic new twist, the coaches can ‘steal’ a losing artist for their own team. If they missed out on an act during the blind auditions, now is their chance to finally grab them. Tonight’s battles include Jaime Bruce v LB Robinson, Jordan Lee Davis v Matt Henry, Angela Begley v Alice Barlow, Katie Benbow v Sarah Cassidy, Nu Tarna v Cleo Higgins, and Ash Morgan v Adam Barron. The Voice UK is on BBC One and BBC One HD at 8.35pm tonight!